Are you an Android geek who loves to explore new Smartphones and Apps? Are you a tech-savvy guy who always wants to be updated with the latest technology? Do you want to make most out of your smartphone? Then you must have these top tech android apps on your Smartphone. 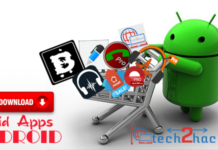 In this article, we are going to discuss some of the top tech Android apps for tech enthusiasts which you shouldn’t miss at any cost. 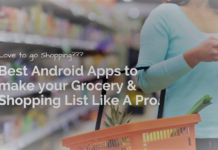 These top tech Android app list will consist of various kind of apps that you must give a try as these are very useful for your day to day activities. Note: The below List is in no order. If you need an app that can bring your all favourite websites and blogs under one roof then FEEDLY is the answer to it. Feedly is a very popular app and there are chances you would have already heard about it. If you haven’t, no Issues! You have heard it now and we challenge you to go and install it right away! Using this app you can easily categorize your different reading sites. 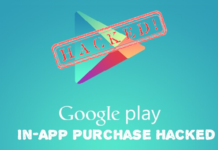 There’s no need of installing any other app from the market. When we talk about Feedly, I get reminded of Google Newsstand too but when it comes down to features part, Newsstand is far behind Feedly. If you wish to read an article, all you have to do is just put a single tap on it and Feedly will load it with the best settings so you can have a great reading experience. While you use Google Chrome, you are going to experience a truly different level. If you use a Google account (you would surely be using as then only you get access to Google services) then you have a feature where you can easily synchronise your browsing data like passwords, history, etc. The best part is that it’s a product of Google and the developers will make sure that there are regular updates to the browser in terms of advancement, exciting and new features. Just start using it right now! This app is straight from the house of Microsoft. Using this app, you can easily scan your documents! Yes, this app acts as a document scanner in your Smartphone. To start off in the app, go ahead and put up any document in front of your device’s camera and once you have done that, the app will automatically start creating an imaginary line (border) around the area which it thinks is a document. If there are any mistakes in the automatic process, then you are free to edit the borderline too. There’s also automatic adjustment of angles and tilt of the image. This makes sure that the document image looks scanned from a real and true scanner. One can also upload his scanned documents directly to his Microsoft account if it has been linked. (Note: The image quality depends upon the camera quality of your device). 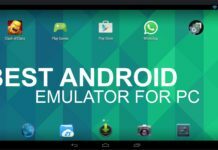 When it comes to Android app, another app that is very common and popular among the users is none other than MX Player. This is one of the most downloaded and recommended video player for Android. In the app, you are free to download free subtitles through the OpenSubtitles integration for your favourite serial or movie. There’s an option for controlling speed, brightness, volume, size of the screen and much more. There’s support for different acceleration also and that includes HW, HW+, SW. If you are a music lover then you can also use this app as a music player running in the background (Check out in the settings tab!). Overall, it’s a great app, but the only downside is that the free version doesn’t support the AC3 format and for that you would have to upgrade to the premium version. If you love watching TV Series then this app is made for people like you only. In this app, you can keep a track on your favourite TV Series. Select your favourite series, the number of episodes you have already viewed and that’s it! The next time any new episode gets uploaded, the app will automatically remind you of it. If you head to your profile section, you can also find the total number of days you have spent on a specific series. There’s much more in the app! Go ahead and check it out now! If you are a fan of Reddit, then this app will make your Reddit experience more exciting and smooth on your Android devices. Reddit is something that has the hottest topics in a discussion. But, due to some reason, the attractiveness of the site is only in Desktop and in the Android app it is not that exciting level as compared to Reddit desktop version. For this, we have the solution known as “Relay” app. This app has an attractive and exciting user interface to surf the hot topics on Reddit. The app comes with many major features for free but some extra features can be found in the premium version that can make your experience more exciting. Confused about a word? Need its meaning, synonym or something else similar? If yes, then you should definitely give a shot to WordWeb. We know there’s always Google for everything but there are times when you are out of reach of the Internet and in these case, you may need some information related to word/words. Using this app, you can find various antonyms, phrases, synonyms, and what not! Check out the app to know more! Have a question? Is it personal? Quora it!. Quora is a place which has grown a lot by a number of users in the last few years. This is a great place to improve your knowledge by discussion. In Quora, you can find questions of different kinds of genres and some exciting answers to those questions. Quora is a good place for networking especially if you are a business person as you get to meet and interact with various kinds of people from different parts of the world. Do you love to share your thoughts? Do you love to write and spread knowledge like me? If yes, then you can try blogging! The best place to start your blogging journey can be one platform only and i.e. WordPress. You can easily manage your blog on the go with the help of WordPress app. You can take care of your posts, comments, pages, stats, much more related to your site. One can also discover WordPress blogs of other people. There’s also an option to get updates from your followed blogs.Start your blogging journey now for free of cost using WordPress application! If you have started your blogging journey already, then this app can help you drive a good amount of traffic to your site/blog as it has the feature to share links. The main aim of this app is to increase your knowledge and kill your boredom for free! If you are a person who is mostly free then this app is surely going to keep you engaged for good amount of time. In StumbleUpon, you will find different kinds of articles as per your preferred niche and interests. Update: Today, July 2nd, Monday 2018, StumbleUpon is no more. Need a unique Music Player? If that’s what you wished for then Power amp is surely going to amaze you. In the app, you can find various customization options like the equaliser with inbuilt presets. This music player has been topping the market for a long time. If you are an artist then you can directly edit your music or song information directly from the app like artist name, title, album, etc. 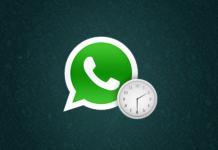 One can also download song or album icon directly from within the app and also customise them. The app also provides you with a great lock screen that will catch your eyes. Check out the music player to know more! 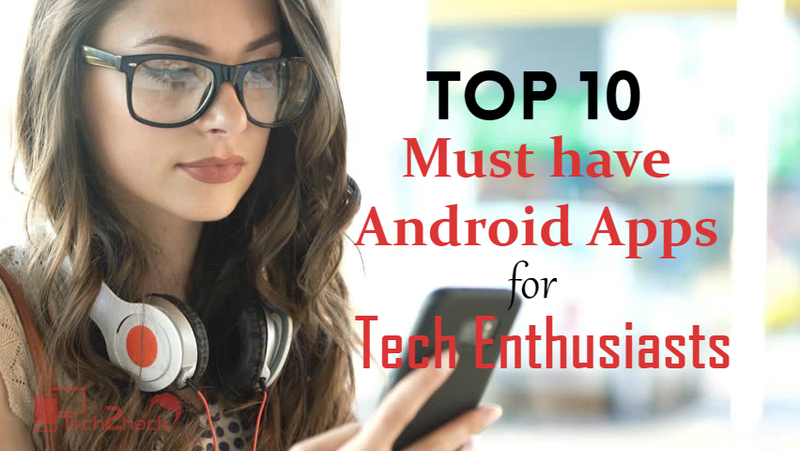 These were the top 10 Tech Android apps for tech geeks, hope you like the list, these tech android apps should have in your app collections right now. If you found any of the app worthwhile, then share the post and don’t forget to let us know any other useful apps in the comments section below. We may consider adding them up until then subscribe now to the mailing list. You many want to include some well-made Android apps for conducting online meetings such as TeamViewer, GoToMeeting, R-HUB TurboMeeting, etc. Thank you very much for the genuine suggestions! I will try to make this list more promising and will also publish another article for the types of app you suggested! Nice blog, Useful data you have shared here… .Amazing thoughts. Thanks for the appreciation bro! Subscribe to our mailing list also, we’ll send you some great stuff, And I won’t spam.